So on one of my nightly walks last week, I ran into a friend of mine out in front of the Lake Shore Plaza, he was outside smoking a cigarette. I greeted him and we chatted for a minute, then he asked me if I wanted to see some cool stuff? So me being the inquisitive type said "of course". We walked through the building doors that were right behind us and proceeded down the corridor to the Smokin Hot Smoke Shop. Yes, this is the hookah place that I was telling you about a few weeks ago. Anyway, we enter the shop and my friend goes straight behind the counter and pulls out a few boxes. Ever hear of e-cigarettes or electronic cigarettes? He puts the cigarette looking device between his lips and takes a deep puff, just like he's smoking a cigarette, next thing I know he's exhaling billows of smoke. WTF? How does it do that? I would soon learn it's not smoke, but vapor. Too weird! Leave it to the Chinese to come up with something like this! Of course I had to try it. Just for the record, I quit smoking cigarettes 24 years ago, long story, but seeing how there's no tobacco being burnt, what the heck, let's give it a try. So I press the little button on top of the e-cigarette and take a big puff. As I'm inhaling, it kind of sounds like there's water gurgling around? That's the atomizer or heating element that vaporizes a nicotine solution stored in the mouthpiece. So as I'm inhaling, I can sense the smoke or vapor entering my lungs, also there's a hint of nicotine. I exhale. WOW, that's an amazing amount of smoke, correction, vapor. Honestly, I'd compare this to smoking a hookah - it's got a similar sort of feel to it as you inhale, definitely not a bad experience at all. Now, would I go and buy one of these? If I still smoked, YES! But since I don't smoke, it's not something that I actually need. Now, the interesting part is that they make an e-cigar, or e-Gar as well. My friend took one of these out and showed it to me. It works the same way as the e-cigarette and it's basically the same shape and size as an ordinary cigar, however it's made of plastic. He took a couple of puffs on it and again volumes of smoke as he exhales. God, that's weird... He told me you can get a buzz on these too. Well, I'm not about to buy one, but I can see how they might come in handy if you really had a craving to smoke. I'm pretty sure you can smoke these inside - there's no flame, no tobacco, and no tobacco smoke, only vapor, plus, you can pull it out of your pocket, take a hit on it, and just put it back in your pocket - takes about 2 seconds. No more going outside for a smoke. BTW, I'll be heading to South America in a couple of weeks for vacation. Who knows, I might even try to score a few legit Cubans while I'm down there! 75º in Issaquah yesterday - not bad for mid-April. I don't think it got that warm in Kirkland, but it sure felt nice! 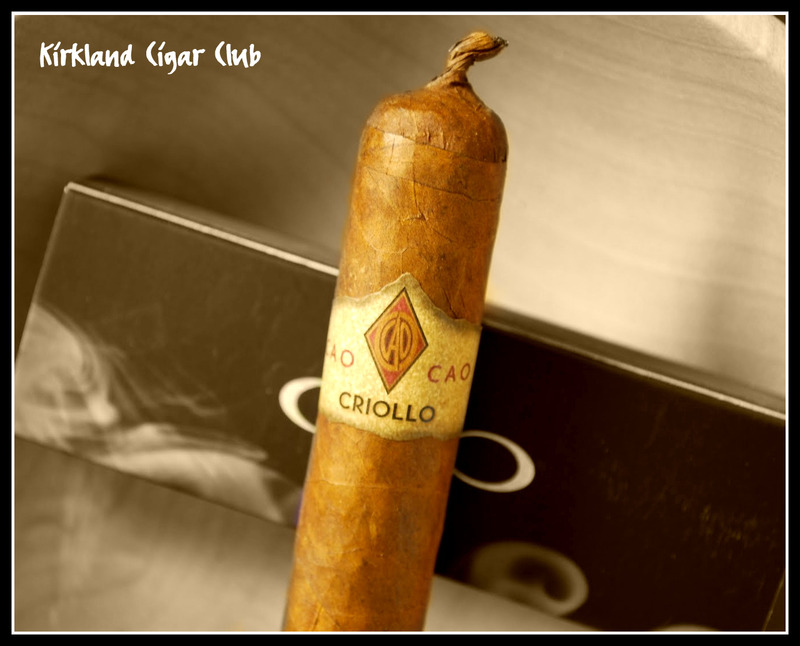 Anyway, a few weeks back down at the Tobacco Patch, the CAO Rep gave me this CAO Criollo cigar. I brought it with me to the casino, along with a Romeo y Julieta Habana Reserve and an ACID Blondie, for my sweetie. To drink, French Press coffee, then moved to Pyrat Pistol rum, but would finish the evening with bottled water. So the first thing I noticed about the Criollo was it's pigtail - little curlicue on the head of the cigar. Kind of cute. Next, the smell of wrapper - nice, very nice, and the feel is firm, not spongy. Personally, I like the size of this cigar, 6 X 50, easily an hour plus smoke. So I guillotine cut the head, bye-bye pigtail, and lite it up. What did I think? Perfect... really no complaints at all. Although if you want to get picky, I'd say that the label is the only thing lacking, everything else was well above most the cigars that I've smoke lately. 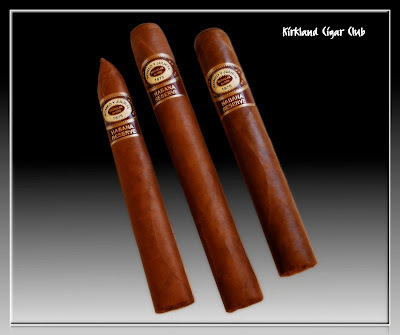 Medium bodied, full flavored, very smooth, easy draw and billows of white smoke. This isn't a nicotine-bomb either. You'll totally enjoy this one. This promotion expires on June 30, 2010, so you've still got a little time if you're interested. So what did I think? I smoked the No.2 last week, and this week I had the Robusto while down at the Tobacco Patch on Friday night, both were good smokes, maybe a little peppery for me, but they both were enjoyable. Burn and draw were right on the money, no complaints. I thought that they both started out a little rough, but mellowed out after about the first third of the cigar. Coffee turned out to be a good pair with these. 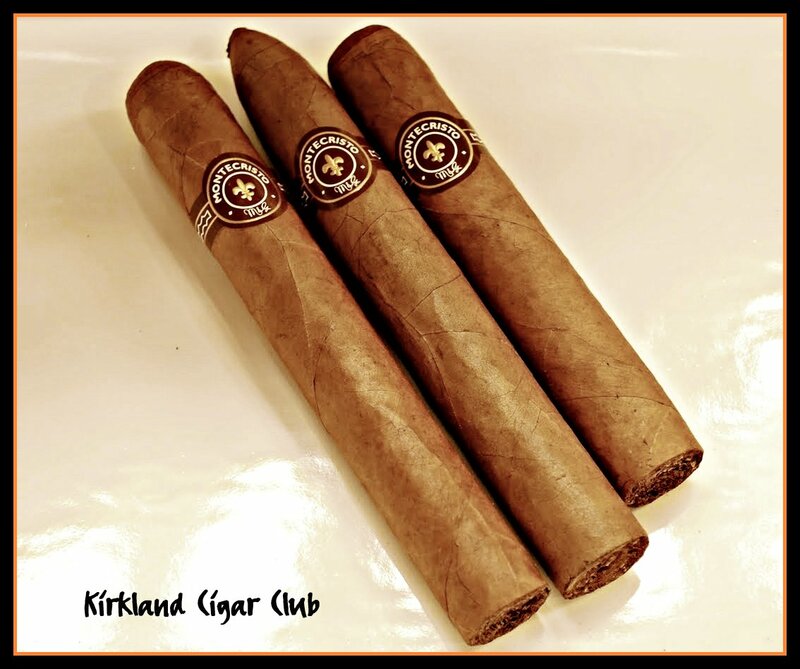 What really made them standout was the price: $7.95 for 4 RJ cigars, and that included shipping - you can't beat the price. A friend of mine recommended this cigar, so I finally picked one up. Pretty nice day yesterday, although that breeze out of the north was annoying. Anyway, in the late afternoon, not long before dinner, my lovely wife and I went out on our back deck to smoke this KubaKuba. I poured a nice cold beer and grabbed my cigar tools. Before cutting it, I gave it the quick once-over - nice looking cigar, good feel, fits well in my hand, rich colored wrapper, nice label, not too firm, and it has a certain smell. What is that scent? I handed the cigar to my wife and ask her: "What's that smell like?" She takes it and holds it up to her nose and says: "Men's cologne". My thoughts were somewhat on the same path, but I was thinking that I just walked into a men's barbershop. It didn't smell bad, just kind of different. I put the cigar between my lips and immediately taste the sweetness of the wrapper. I gave the cigar a straight cut and lit it up. 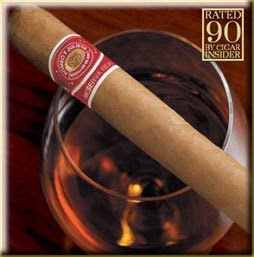 Interesting flavor, not all that bad, but I've got to admit that a beer is not the best thing to pair this cigar with. I think an espresso or maybe going the other direction, a glass of rum? I'll have to experiment next time. Anyway, about half way through, I notice that the wrapper is cracking just a bit, like it might start to unravel. Oh oh... that's not good. So I baby-it until I've smoked past the cracking part. To me, that's one of the more annoying things that you can have happen - your cigar starts to unroll on you. Sheesh! 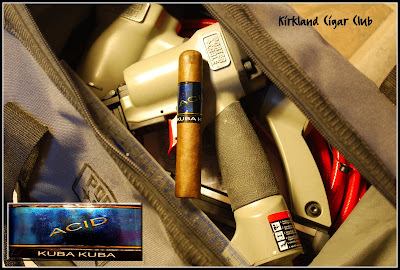 There was one other issue that I had with this cigar, but it might have been more my fault and not the cigars, so I'll wait and see what happens next time. So on Friday night I tried out the Robusto while I was down at the Tobacco Patch. Weather was crappy, it wasn't raining, but it was cold and windy, not the best weather to be out in. We'd already stopped for coffee and dessert, so we were all set for a cigar. Generally speaking, if there's no one at the Patch, I won't stop, but about 95% of the time, you'll find someone here to enjoy a cigar with. Friday was no exception. Anyway, the Robusto turned out to be a good smoke, maybe a tad stronger than I would have liked, but it did have the smooth Montecristo characteristics. Unfortunately, the weather was too crappy for my better half, so we decided to call it a night early. Yeah, it wasn't any fun being outdoors. I think we should have gone to the Casino instead. 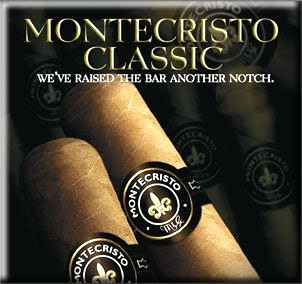 Sunday was my next opportunity to try out one of these Montecristo Classics. After a BIG Easter dinner we went out on the deck for a cigar and a drink. This time I brought out the Torpedo. It wasn't raining and it wasn't all that cold out, but I turned on the outdoor heater just to play it safe - nothing like being nice and toasty. Sunday (Easter) afternoon we were downtown Kirkland taking a walk, it was still windy, but not intolerable. My lovely wife wanted some frozen yogurt, so we stopped by Ce Fiore. As we were walking down there, I noticed a new smoke shop that was open. What's kind of weird is that it's only about 30 yards away from the Tobacco Patch. So after we got the frozen yogurt we decided to check it out. It's called the "Smokin Hot Smoke Shop". The location is good, it's right on Lake street in the old Lake Shore Plaza building. It's not really a cigar store, although they do have a humidor with a few boxes of cigars to choose from, it's more of a smoke shop for everything else; cigarettes, pipes, tobacco, etc. etc., but what will really catch your eye is the hookahs - they sell all kinds of them, plus they've got a big room in the back that they're turning into a Hookah lounge. Very interesting stuff for downtown Kirkland. The guy that worked behind the counter was a super nice guy and gave me the lowdown on what they're planning in the near future. 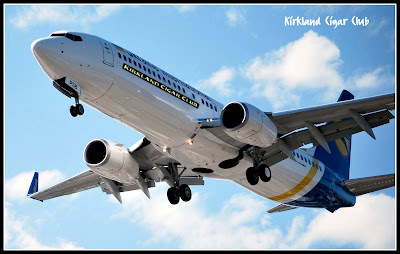 I hope it works out for them - I'll be back to check it out again soon.